I believe there is never a one-size-fits-all solution when it comes to making one of the biggest financial commitments of your life. As your mortgage advisor, I am constantly expanding my knowledge and staying current on the latest mortgage and real estate trends so that I can offer you smart loan options. My team and I will listen so we can provide you with individualized mortgage solutions, based on your unique circumstances and goals. I am a “people person”, however, please do not let that confuse the matter as you will quickly find I am a “numbers nerd”. My primary goal is to educate my customers so they are empowered with knowledge. At the heart of everything I do is my family. My wife Colleen and I were blessed in June of 2016 with our first child, Finnegan Michael Richen. Then, on Halloween night of 2018 our daughter Reese Ann Richen joined the clan. My children are a revitalizing inspiration for me each day. With every new experience with them it reinvigorates my passion for aligning one’s finances to really just work in the background for us so that we can enjoy the things in life that matter. This is and has always been the approach I try to help my customers with. Let’s get the financials part aligned with your goals so you can focus on what truly matters. I joined Hometown Lenders, Inc. (NMLS #65084) dbt TILA Mortgage because I was confident in combining their vast product and competitive pricing structures with my 11 combined years experience in lending as a Loan Originator, Customer Consultant, and Branch Manager; together we could truly make the difference for my clients. Ryan helped me buy my first house in April of 2014 and since I was new to the buying I had a lot to learn. Ryan walked me through the whole loan process and explained all the options I had. He responded promptly to any inquiries I had which was very much appreciated. In the end, I choose a 15 year fixed rate mortgage with a very good rate and price. Hopefully, I'll be in this house for many years, but when the time comes to make another purchase I will definitely be working with Ryan again. Ryan was extremely persistent and helped a ton in marshaling the various people and pieces of paper necessary for us to get our first home loan. I think if we'd had another mortgage broker it would have taken twice as long for the loan to be approved and closed. Cannot recommend Ryan enough! I flirted around with the idea of refinancing my house and get a little extra cash to put myself into a better financial situation. I heard of TILA on 105.3 radio, and I went to their website and filled out a prerequisite form. That is when I was first introduced to Mr. Ryan Richen. He and I hit it off right from the beginning, I told him what my situation was and he gave me my options to choose from. He gently guided me to my best option which I chose. Ryan is so polite that He could teach a seminar on human relationship etiquette, but that's just the beginning he is a master in his job and his communication abilities help guide you with the tasks that come along with a mortgage refinance. He is very educated He made this whole situation of refinancing a joy and when Ryan sensed any stress in me, he calmed me down telling me that everything was alright and we were smooth sailing. After all is said and done, my loan will be closed by this Thursday which will be 2 1/2 weeks. Thank you, Ryan, for all you have done for me as you know my life course has changed for the better. Our experience with Ryan was great. He was always available for questions, answered our phone calls and emails quickly. Very knowledgeable and forthcoming with information that helped us know the best course of action for our refinance. I have been a homeowner for many, many years, and I have never had such great service (and we've refinanced several times). THANKS, RYAN (and team)!! 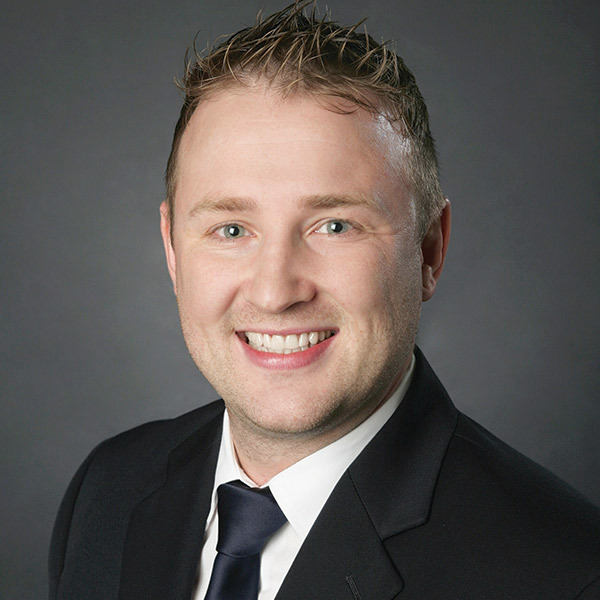 From the first contact to loan closing Ryan was extremely helpful and knowledgeable. His follow through and follow up was great and made the process very easy and enjoyable. My wife and I recently completed a mortgage refinance with TILA Mortgage. Honestly, I had heard radio commercials for Tila Mortgage and found myself calling them based solely on the information I had gleaned from the various radio broadcasts. I was totally unsure of the outcome and was ready to move on to another company if I had not been immediately helped with my questions. An operator connected me with one of the Tila agents, Ryan Richen. Within a couple of minutes with Ryan, I knew that TILA Mortgage would be a great connection to complete a refinance for our home. In a warm, friendly voice, Ryan asked me several questions to ascertain the best type of refinancing. He was not pushy or aggressive, but instead explained many options that would be available to us. In the end, he outlined one that would work best for us. During that conversation and many that followed, I found Ryan to be knowledgeable, friendly, and courteous. He was able to explain in minute detail all of the components of a refinance . . . such as the advantages of an adjustable cap loan, the best interest rate for us and the protection of a five-year cap. We will be selling our home before the five year period expires. As we moved along in the loan process, Ryan contacted us via email or phone every couple of days to keep us appraised of the progress. He provided his cell number should we have any questions and promptly responded to any of our questions during the application process. During the loan application process, I felt that my wife and I were in the hands of a knowledgeable, competent, mortgage loan specialist . . . simply one of the best. From the first conversation I had with Ryan, I felt confident that I was working with someone that was 1) experienced and extremely knowledgeable about all options and considerations concerning refinancing. 2) was going to make sure that my goals were met, without compromise 3) was going to take the time and effort to make sure that I understood everything and was comfortable with the path we were choosing. I would highly recommend Ryan to anyone and will do so with family and friends. He’s certainly earned my trust and respect. From the first conversation I had with Ryan, I felt confident that I was working with someone that was 1) experienced and extremely knowledgeable about all options and considerations concerning refinancing, 2) was going to make sure that my goals were met without compromise, and 3) was going to take the time and effort to make sure that I understood everything and was comfortable with the path we were choosing. I would highly recommend Ryan to anyone, and will do so with family and friends. He’s certainly earned my trust and respect. I worked with Ryan Richen. I was impressed the very first time l spoke with him on the phone. He made the process very easy and painless. I had talked with one other mortgage company before talking with Ryan and they seemed very pushy. Working with Ryan was fantastic. If you need to refinance or get a home loan, he is your man. You Will not be disappointed!